Sorting through mail and paying bills is not something I enjoy doing at all. I despise all the insurance lingo and I’m far from a numbers gal. I used to avoid dealing with all that mail and paperwork at any cost. I’d get our mail, pull out any fun snail mail letters and cards, and then throw all those white envelopes in piles on whatever surface I happened to be nearest. This resulted in haphazard stacks of mail in various places around our house. It was not efficient. It was not tidy. And it was definitely not smart. After missing several due dates in a row, I knew things needed to change. It was time to stop avoiding the boring paperwork and do something to organize mail in our house. I am an adult after all. How hard could it be? I should be able to organize our incoming mail enough to get things paid on time. I’m generally a very organized person, but my determination to avoid the paperwork resulted in years of a disorganized mess before I finally got fed up with things getting lost in the shuffle and decided I needed to get organized and put an end to the paper madness. Today, I’m sharing my system for organizing our paperwork the instant it comes into our house. 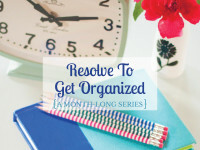 This post is an installment in the Resolve to Get Organized series, where we’re spending the entire month chatting all about organizing our lives. 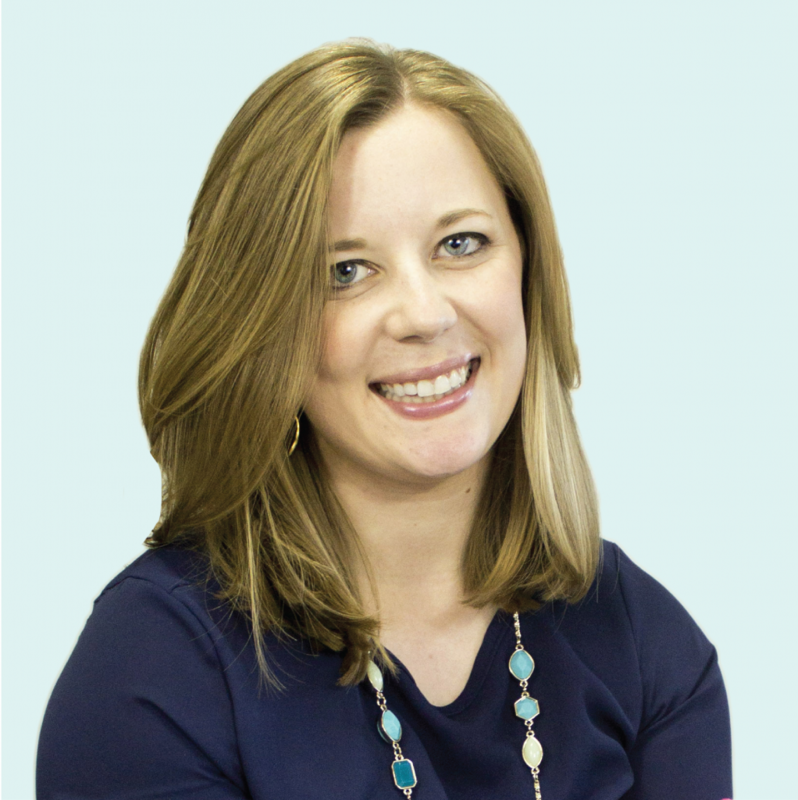 I’m loving the chance to share organizing advice and systems that work for me, and I’m learning some great tips from you, too! First off, let’s go ahead and take a look at the organization method I use, and then I will walk you through a step by step process for conquering your own paperwork. Because I sprawl out on the floor, I needed something mobile that I could pull out whenever I’m working on paperwork. I purchased an acrylic file holder and hanging files from Target a while back Organizing is always more exciting when you have pretty new office supplies! MAIL :: All incoming mail gets put in here right when it comes in the house. I do try to pull out anything that’s absolute junk and throw the junk in the recycling bin right away. DEAL WITH :: When I sort through the mail file, there are usually some things that I need to deal with in the near future but not right away. Those items get moved to this folder to look back through the next time I do paperwork. FILE :: These are documents that have been handled and are ready to be filed away for good. SUPPLIES :: I keep this extra folder at the back and it holds a few supplies to make it convenient to deal with bills. A couple pens, letter opener, checkbook, stamps and envelopes. 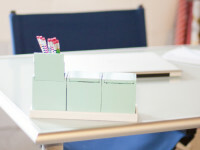 Now, let’s talk through the process of how I keep our paper clutter under control. After all, pretty files are great to look at, but they are only functional when they get used! First of all, I store the file on a bookshelf right inside our front door. This is our drop zone where we put our keys, gloves, umbrellas, etc. Whenever we walk in the door with mail, it immediately gets tucked into the incoming mail file. Once per week, I pull out the file and lay everything out on the floor or table in front of me. I open up all of the new mail and recycle the envelopes and excess paper. Then I go through all of that paperwork plus anything in the Deal With folder. I pull out my laptop and schedule any payments or send any emails necessary as I go through the stack of papers. If anything can’t be paid electronically, I write out a check and prepare the envelope right there. Once I’m finished sorting everything, the file holder goes back on the bookshelf by the front door and any mail or other papers that I need to deliver in the morning get put on the top of our bookshelf next to our keys so I remember to take them with me when I leave the house. Once the FILE folder is plump full, I take a few minutes to sort everything into the appropriate folders in our filing cabinet in our office. My ultimate goal is to go paperless and scan these papers into Evernote before shredding them, but I’m not quite to that point yet. So for now, I just organize mail by categories in a standard filing cabinet. Designate a mail drop zone that is really convenient, probably near your door or wherever you drop your purse and coat when you come home. From now on, all mail and paperwork should immediately be placed here. You can put it directly into hanging folders like I do, or make it even easier on yourself and put a big letter tray or basket there so you can drop everything inside it. The goal is to make your drop zone super simple so you have no excuse not to use it. 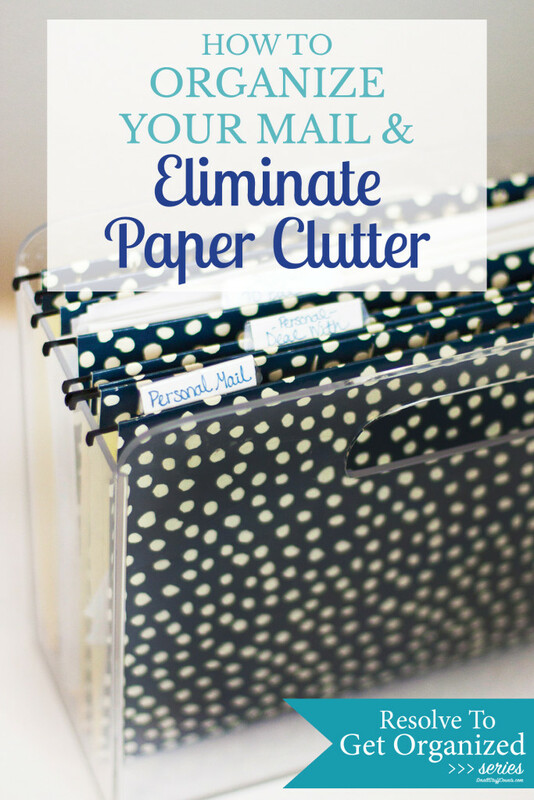 You’ll need a few simple supplies to collect your mail and keep it organized. Like I mentioned, you’ll want a tray or basket to hold incoming paper. 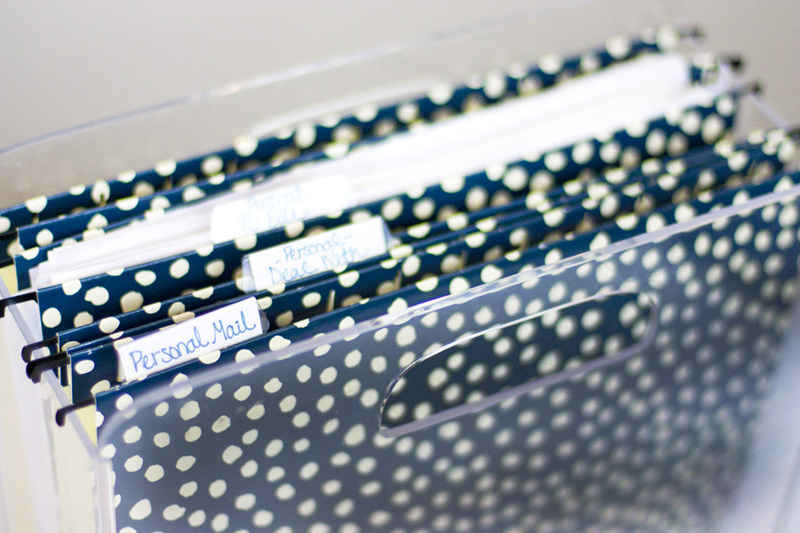 I also recommend a hanging file holder for sorting and organizing all that paper. I told you about the files I personally use, but you may want or need more. If I had kids, it might make sense to have separate folders for each of them, for example. If you have a business, you may also need additional folders. 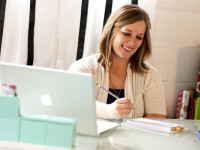 Your goal here is to set up a system that will keep things organized but not be too complicated. If you’re like me and tend to overcomplicate things sometimes, be careful not to make too many files. If your system is too complex, it won’t be easy to use and you’ll go back to your old habits of laying paper everywhere. The key to making your paperwork and bill paying time run really smoothly is to have all of the supplies you need in the same place. I mentioned above that I store supplies in an extra hanging file in the back of my file holder. This is nice because I don’t waste any time running to another room to find a pen. I also have my checkbook, envelopes, and stamps right there so it’s simple to pay bills and get them ready to mail right away. I used to throw those bills in a stack for later once I dug out the checkbook, but that’s really not efficient. If you want to pick up some pretty new office supplies to kick-start your mail organization project, I gathered up some pretty options for you. Click the photos below to shop for each item. Please note that this list contains affiliate links, which help support this blog. For more information, see my disclosures here. Now that you have a system set up, it’s time to gather up all of the mail and paperwork laying around your house and get it in one spot. Take some time to sort through it. Recycle/shred anything you don’t need. Pay anything that needs paid. Go online and make updates or send emails. Take action on that paper so you can get it out of your way. And then file anything that needs to be kept. Now you have a clean slate and can start using your file system from here on out to get those papers organized as soon as you bring them in your house. Don’t let yourself fall into your old habits of setting papers down on any old table. Put them in your designated file or drop zone. One thing that helped me get into this habit was to stop reading my mail when I got it. When I come home from work, I check our mailbox and put anything that needs to be opened in our file for later and recycle anything that’s obviously junk. If I open all of those white envelopes when I get them, then that paper tends to get strewn over the kitchen counter or the couch or wherever I happen to sit down. So I file them away until I’m ready to deal with them. When I told you about my method for time blocking every task in my week, I mentioned that I have a small block of time for paperwork each week. Because all of my paperwork and supplies are already organized in one place, I need a maximum of 30 minutes to sort through everything from the past week. And that includes the mail from our business on top of our personal mail. One thing that will help you eliminate paper clutter is to just get less paper in the first place. Whenever I sort through my mail, I pay close attention to see if there is an option to receive it electronically instead. Like all of those bank and credit card statements, for example. I never look at the paper statements, but yet I received them for years before finally going online and changing my preferences. And as I’ve done this, I’ve even realized that a few have been charging me fees for those paper statements! As you sort your paperwork each week, take a minute to go online and update your preferences for those types of things before you file them. If you do this every time you look through the mail, you’ll eventually have far less paper even coming in your door. That’s a huge help in staying organized! Taking some time to set up a functional organizational system is so important. I wasted so much time inefficiently dealing with our mail until I finally took a small bit of time to plan out a filing system that worked for me and helped me organize mail easily. I also think it’s super important to set yourself up for success by locating your mail drop zone in a convenient, central place in your home. Good luck organizing! How do you organize your mail? What tips do you have for eliminating paper clutter? Has anyone tried to go completely paperless? Leave a comment below! 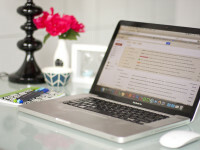 Part 5: How to Organize Your Mail to Eliminate Paper Clutter – you’re here!